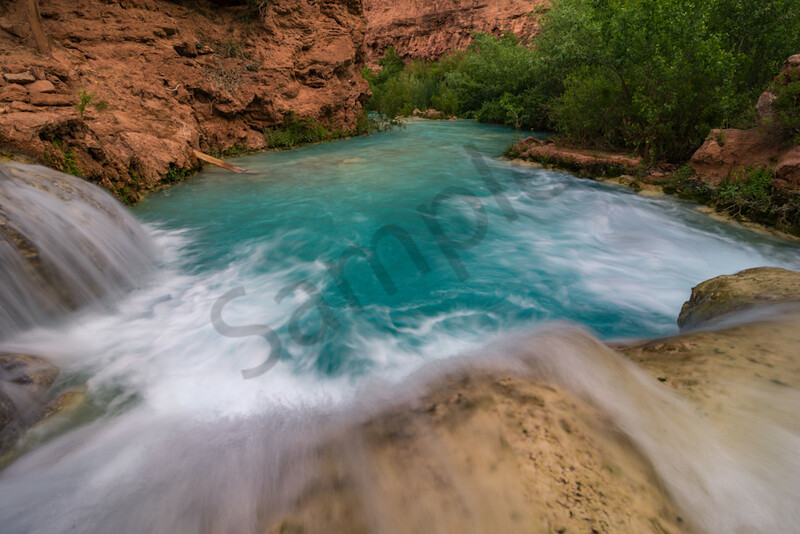 This cascade sits just below the impressive Havasu Falls. The pool above the cascade is perfect for taking a dip in this cool and refreshing water. Nestled deep in the desert canyons of Arizona, Havasupai is a remote gorgeous place reached only by foot, or a flight in by helicopter. there are no roads that lead in to this amazing place where only a handful of native peoples call home year round. Visitors are required to have permits in order to visit Havasu Falls.